Currently, counties make it simple for people raising hay, livestock, or conventional row crops to get agricultural valuation which significantly lowers property taxes. However, they often make it difficult or impossible for people raising vegetables for farmers’ markets, pastured poultry, or using organic methods. Many small-scale or urban farmers are paying taxes based on the value of their land if it were to be developed. HB 231 and SB 700 clarify the tax code by specifying that fruit and vegetable production qualify as “agricultural uses” and directing the Comptroller to convene stakeholder groups to develop clear guidelines for ag valuation qualification. This bill could save small farmers thousands of dollars annually in property taxes. Last session, a very similar bill was passed by the House by a vote of 135-4. This bill does not seek to increase the number of landowners entitled to agricultural valuation; rather, that it ensures that those who should already qualify are not inappropriately excluded. SFC supports HB 231 / SB 700 because there have been numerous occasions where small, diversified farmers that are part of the local food network in TX have been denied ag valuation or have had trouble obtaining it. A growing number of young people aspire to become farmers but most lack the capital to begin. Military veterans have growing opportunities through training programs run by the USDA and Texas AgriLife Extension, but often lack sufficient savings to purchase land. Property taxes represent a significant barrier for a start-up farmer. In order to qualify for lower taxes through agricultural valuation, land must have been used principally for agriculture in at least 5 of the previous 7 years. The bill would reduce the waiting period for ag valuation from 5 years down to 1 year specifically for veterans who become farmers and for young beginning farmers (defined as under the age of 35 and not having been principal operator of a farm for more than 10 year. SFC supports HB 950 / SB 330 because we need to cultivate more young farmers and this would allow both young farmers and military veterans not only economic opportunity, but an opportunity to support local food systems. 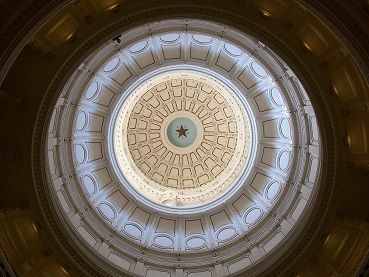 SFC supports HB 3324 to improve food access for Texans based on the particular community’s needs. Bill would allow school districts that purchases agricultural products to give preference to products produced, processed, or grown in Texas if the cost to the school district does not exceed 107 percent of the cost of agricultural products produced, processed, or grown outside of this state and the quality is equal. SFC supports SB60 so that school districts may choose to spend additional funds on Texas-grown agricultural products to support the Farm to School movement and Texas agriculture. In 2011 and 2013, the Texas Legislature legalized the sale of specific non-potentially hazardous foods directly to consumers. A Forbes magazine article estimated that 1,000 new businesses have been created as a result. HB 2600 expands the types of foods that can be made in home kitchens and sold to the public, adding canned vegetables, fermented foods, tamales, and perishable baked goods to the list. The bill allows sales anywhere in the state, including through mail order and internet, as long as both producer and consumer are in Texas. The bill addresses food safety concerns in a scale-sensitive manner, allowing for safe home food production and sales. This benefits not only producers, but also consumers, who receive improved access to healthy, locally produced foods. Those regulatory provisions cover: Registration and inspection by health departments; Food safety training; Sanitation measures; Record-keeping; Labeling. SFC supports HB 1926 because the creation of value-added small home businesses would also be able to contribute to the direct to consumer food movement. Small farmers and local food business must navigate a maze of regulations from multiple agencies and jurisdictions: Department of State Health Services, Department of Agriculture, Texas Animal Health Commission, and multiple local health departments. The regulations are written with a one-size-fits-all approach, which often makes them hard to understand and implement for small-scale operations. Different agencies give different interpretations of the exact same regulation. Small farmers and local food producers repeatedly say that their single biggest challenge is even knowing what is legally required of them. SB 656 establishes an Agricultural & Rural Ombudsman position within the Department of Economic Development and Tourism to help farmers and food producers (1) understand what is required of them and (2) communicate with the agencies when there are conflicting interpretations. SFC supports SB 656 given the regulatory challenges small produces face in Texas. Currently, it’s legal to sell/buy raw milk directly from the farmer on the farm. The bill would allow licensed farmers to sell raw milk directly to consumers at farmers’ markets and allow farmers and consumers to agree to delivery arrangements. The House passed an almost identical bill last session by a vote of 103-36. SFC supports HB 57 because licensed farmers selling raw milk at a farmers’ market is safer and easier for consumers. The language about “cultivating” means that it’s not just about the seeds themselves, but the things the farmers use to grow the plants, including pesticides and herbicides that can kill other crops, crash bee populations, and harm human health. No county or city in Texas has even attempted to ban any seeds, which is the alleged concern behind this bill. Several counties do, however, have limitations on when certain herbicides can be sprayed in order to protect farmers from damage to their crops from herbicide drift. While there are federal and state regulations that govern the application of pesticides, these are often insufficient to protect against damage from highly volatile chemicals such as 2,4-D, which can drift for several miles.1 Taking away the ability to address issues such as this is not pro-farmer or pro-property rights – it’s sacrificing one group of farmers, by allowing others free reign to continue activities that are not confined to their own property. What else would this bill do? It would prevent local governments from addressing concerns about contamination of high value crops. Consider that Texas rice farmers were among those who lost hundreds of millions of dollars when their crops were contaminated in 2006.2 Statewide regulations may or may not be appropriate in every situation, and the state should not block local governments from addressing the concerns of local businesses. It would prevent any local regulation of neonicitinoids, which are bee-killing pesticides used both to treat seeds and during cultivation. Bees are a vital part of our food supply, pollinating approximately 1/3 of every bite of food in the grocery stores. It would prevent any local regulation of when or where herbicides, fungicides, and pesticides are sprayed, preventing any efforts to protect vulnerable populations such as school children or nursing home residents. It would block local governments from responding to the many situations that we simply don’t know about yet. SFC opposes SB 1172/ HB 2758 because local jurisdictions need to retain their ability to protect their farmers and communities.